This is a test page, its not well done. We mentioned some of historical personalities. We will work on it soon! Mayor of Jenin from 1935-37; dismissed from the post by the British in 1937.As a result, the Abboushi family lived in exile in Beirut Lebanon until1940. Fahmi Abboushi had a close relationship with Awni AbdulHadi, both were thecofounders of the prominent Arab Independence Party in the 1930s. 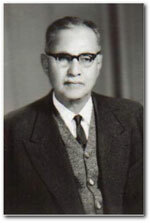 FahmiAbboushi was the chairman of the Arab National Bank, Jenin branch, in the1940s. He also served on numerous national committees during and after theBritish Mandate on Palestine. 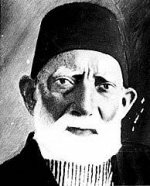 In the late 19th and early 20th century, Hafiz Basha AbdulHadi and HajjMustafa Abboushi were prominent figures in the Jenin Area, they were alsoclose friends. The two families always competed for the mayoral office. Fahmi Abboushi was also well known for his oratory skills. A member of one of the main landowning families of Jenin, Abboushi lost an arm fighting in the Crimean War in Turkish service. This is a painting, done in Jenin in 1917, is by a German, who was among the substantial number of Germans in Palestine during W.W.I. assisting the Turkish effort.